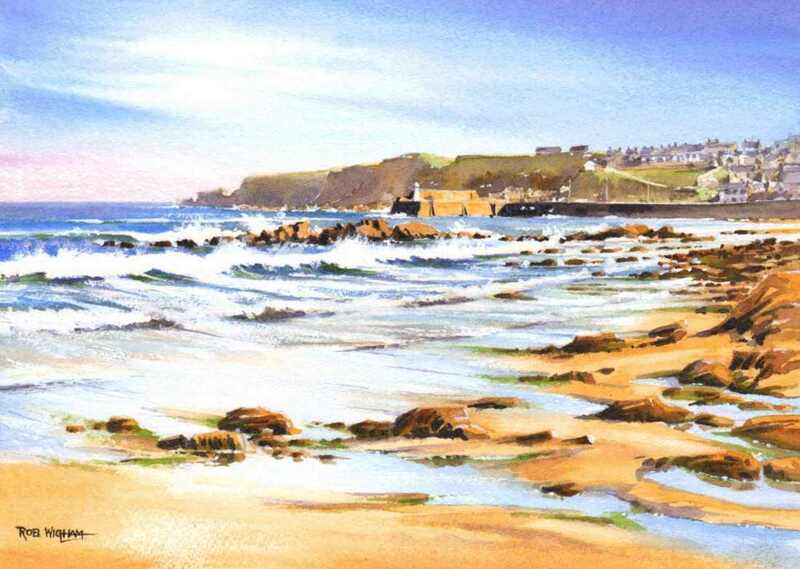 'Cullen's Rocky Shoreline', watercolour, 35 x 25 cm. Looking across the bay towards the harbour, this is a pretty view of Cullen on a beautiful day. Another day on which I got very wet feet!